Halloween can be a fun time for your family, and even your pets! Here are a few tips to keep your furry goblins safe and happy on Halloween! This one tops the list for Halloween hazards for your pets. 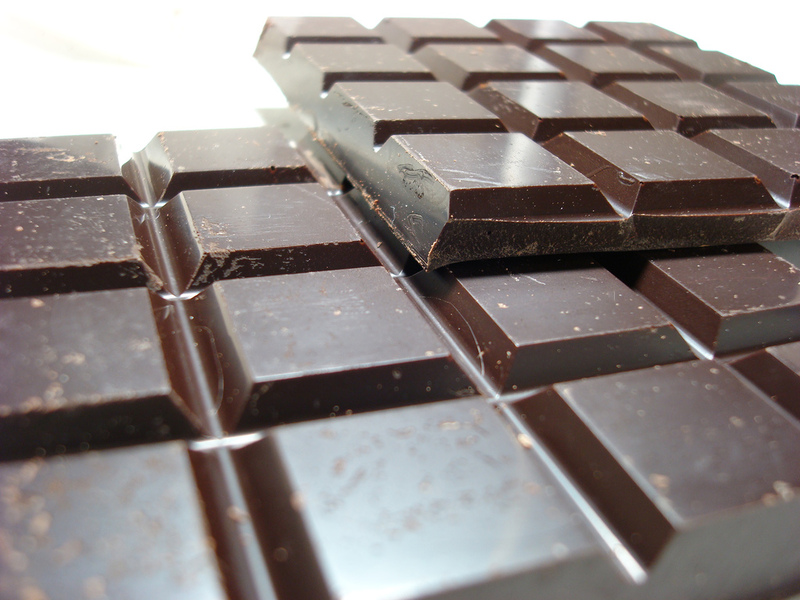 Although it is more common for dogs to consume chocolate than cats, it is still toxic to both. Chocolate contains caffeine as well as a chemical compound called theobromine, which takes much longer for dogs to metabolize than it would humans. Even though chocolate containing more cocoa is more dangerous, (baker’s chocolate and dark chocolate contain more theobromine than milk chocolate) no amount of chocolate is ok for a dog to ingest. Symptoms can include vomiting, diarrhea, hyperactivity, rapid heartbeat, and even seizures. If you think your pet has ingested chocolate, immediately call your veterinarian or Iowa Veterinary Specialties for further instructions. Although these can be a fun item for children (and a safe way to be seen at night) they shouldn’t be left unattended around your pets, especially cats. One bite into a glow stick or necklace can allow the chemical inside to leak. This chemical causes a mild to moderate toxicity in cats, but can also cause profuse drooling, gagging or retching. The chemical can also cause irritation or burning to your pet’s mouth and skin. If your pet has ingested or come in contact with the liquid inside of a glow stick, it’s time to call a vet. Raisins found in your children’s Halloween bag are a healthy alternative to sugary candy, but can be dangerous to your dog! Grapes and raisins can cause kidney failure in your dog. Raisin and grape toxicity can cause poor appetite, vomiting, and diarrhea. Even a very small amount can be harmful for your dog. Although costumes can be fun way for your pet to join in the festivities, they are not always as compliant with wearing costumes as the children running door to door for sweets. 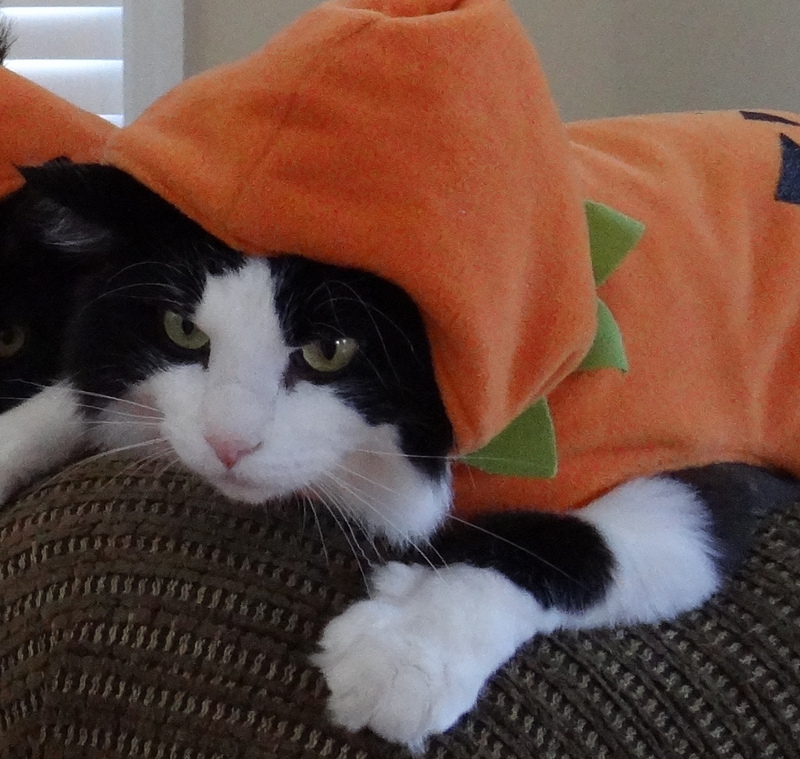 Costumes can cause undue stress for your pet during Halloween. Even if it’s an angel costume, this could lead to some inappropriate behavior. If your pet is visibly stressed or distraught from wearing a costume, it’s best to take it off and allow your pet to calm down. For those pet owners lucky enough with pets that welcome a costume, make sure they are supervised at all times. Costumes are often easily torn apart, especially by puppies. It’s possible for your pet to ingest part of the costume, eventually causing a bowel obstruction. Trick-or-treaters have an insatiable appetite for candy, but to get it, they first have to knock on your door or ring the doorbell. This can be very stressful for both dogs and cats. If your dog gets very anxious when visitors arrive, it might be best to kennel him or put him in a closed, comfortable room. Often, while trick-or-treaters are visiting the door may be open for longer periods of time. If your pet has been known to bolt when the occasion presents itself, or is aggressive, it may be necessary to keep her in a kennel or closed room.